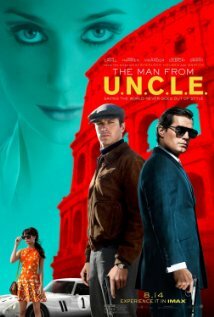 The premise of The Man from UNCLE revolves around the Cold War and the production of nuclear bombs in the 60's — specifically trying to prevent them from falling into the wrong hands. Two unlikely agents from two different countries have to work together to save the world despite their differences. On one side, we have United States CIA man Napoleon Solo (Henry Cavill) and on the other, a Russian KGB operative Illya Kuryakin (Armie Hammer). At first they are in a quarrel over Gaby Teller (Alicia Vikander), a girl who has secret ties vital to their plans. Later on, Solo, Illya and Gaby are sent on a mission together. There's a whole lot of bickering between Solo and Illya and that's when the comedy of the flick turns on. It's a constant contest about which agent and which country is doing a better job, and a feud emerges in several scenes. Later on, they become brothers-in-arms but still carry on that rivalry that makes it fun to watch. Gaby is forced to play a mother role between the two arguing agents, a job she doesn't relish. The main antagonist of this film is Victoria (Elizabeth Debicki), a beautiful and cunning villain that nailed the role. She's too much for one agent alone — only teamwork can take her and her evil plan down. The Man from UNCLE doesn't have any misses and keeps you entertained all the way through. Don't be sick of agent movies just yet — go check this out.